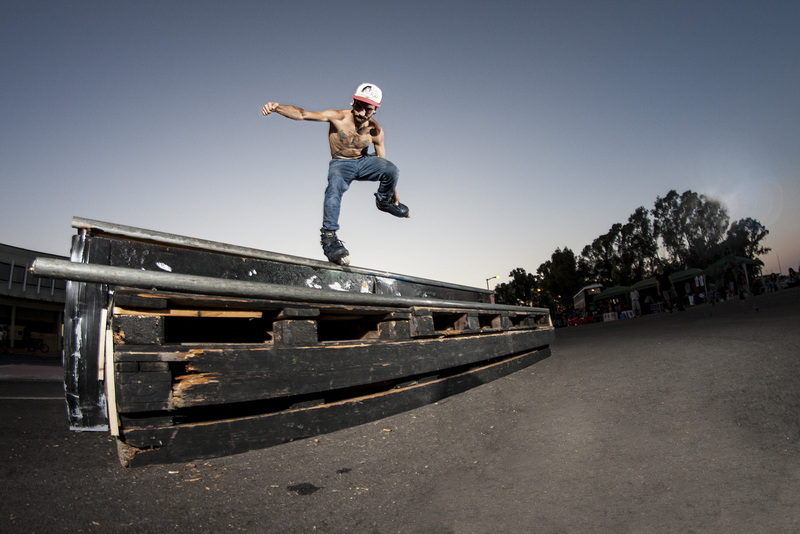 All across the globe people strap up their blades and take to the streets, and though some locales seem far-off and distant, to the skaters there it’s just home. Such was the case when we started receiving photos from Federico Nobile, showing us a glimpse into the Sardinian blade scene. If you don’t know, Sardinia is the second largest island in the Mediterranean Sea, floating out off the coast of Italy, challenging its bladers with old world architecture and limited terrain. 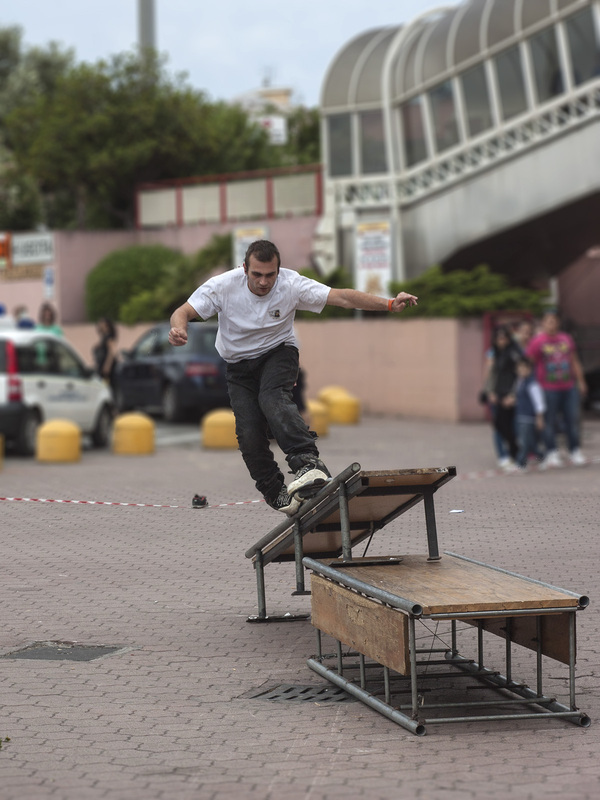 But as you’ll see below, just like your crew, these skaters bleed their blade love same as the rest of us… and blade not just to shred, but to share their passion with their fellow Sardinians. We salute these guys are their commitment to making this article a reality. Congrats, gentlemen. And thank you. My name is Mauro Seguro. I’m 28 and live in Quartu Sant’Elena, Cagliari, Sardinia. I’ve been aggressive blading since 2001 but I started using rollers only for fun because they were a toy to use while I was saving some money to buy a skateboard. Though strangely I ended up preferring the skates. 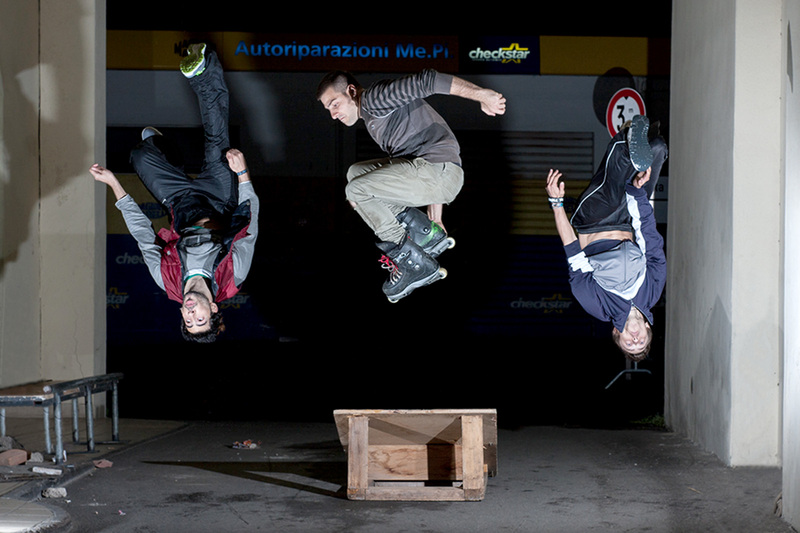 During my 13 years of rollerblading the Sardinian scene — specifically in Cagliari — has changed many times. In fact I have countless memories about the aggressive scene here from even before my career. You see, back in 1995 and 2000 rollers were cool, and all the local teenagers used to go crazy for “Roces Majestic” and Rollerblade “Chocolates”! It was cool also adding a home-made soul plate by breaking a piece of chair from the bus and glueing it under the boot. 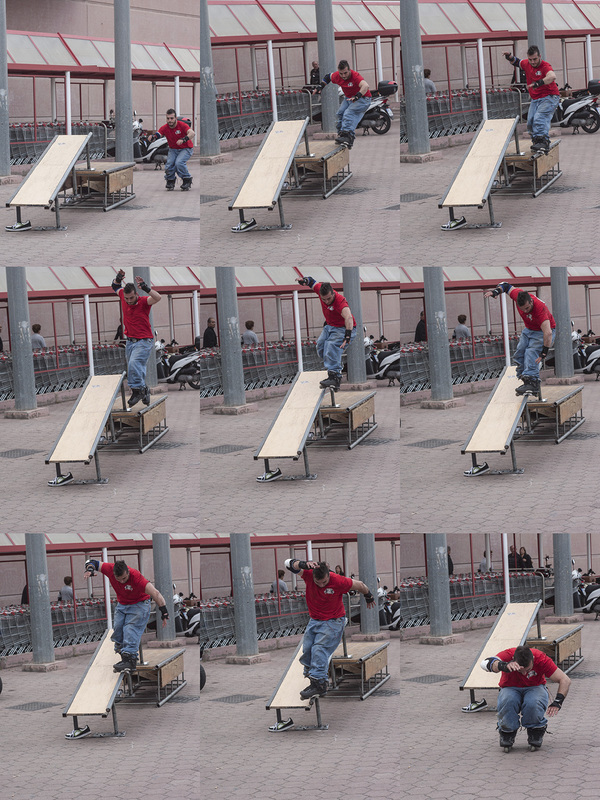 There were bladers on the road, around the squares, near the shops — everywhere! But unfortunately around 2000 skateboarding became more popular and then rollerblading became a minority. When I was learning to blade in 2001 it was often me and Simone L. at the skatepark, teaching ourselves how to blade and grind. Back then even seeing a rollerblader was considered as weird as a miracle. We didn’t even know trick names — just calling things what they were. Like, “one foot” for makio. Then finally in 2002 the internet came and it gave us all a new reality thanks to some cool videos of European bladers. Us bladers started finding each other and soon my friend Riky and I had a crew of Sismo, Matteo M., Sbiru, Bibi, Andream from San Sperate and so on. We pushed each other and good better. But when the crew broke up and I learned how to skate for myself and I landed tricks on spots all around Sardinia. Sismo, Zizzi, Albertino, and many more of us started skating together again. Maybe this helped lead to an explosion of local bladers in 2010 — this time the crew became TRB (Team Roller Beer) and was me, Luca, Riky, Marcolino, Baldini, Matteo P., Mariano Padrini, Betty, Francesco F., Andrea M. and many others. It was during this period that many things have changed for us because growing up means having responsibilities that occupy the entire day, then rollerblading became a way out from the chaos of everyday. We’ve all progressed and skated much of the available terrain, but we have no medium-high session rails or a good skatepark, though we are working with (read: fighting with) the local administration to get a facility built. 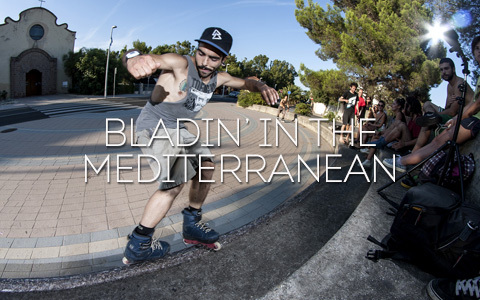 New bladers have also strapped up skates, like Federico P., Dust, Iko, Salvatore P. and we’re becoming a strong force, spreading rollerblading around the Sardinian isle. Thanks to Cico and the “Extreme Sport Sardinia” that supports us and all other extreme disciplines. 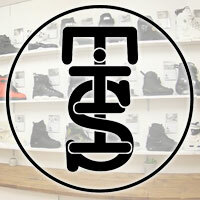 If we get stronger, we want to surpass the levels we reached in 1995 and 2000 by becoming a indestructible force in this growing local extreme sports scene and make rollerblading known everywhere. 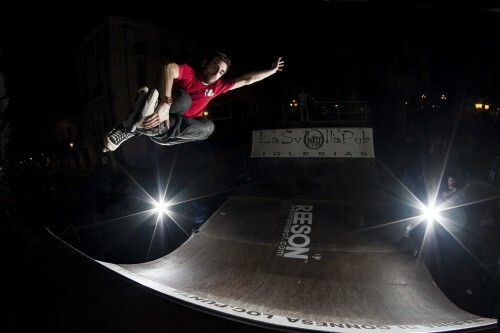 I will be in Sardinia in early September 2015, lets blade.